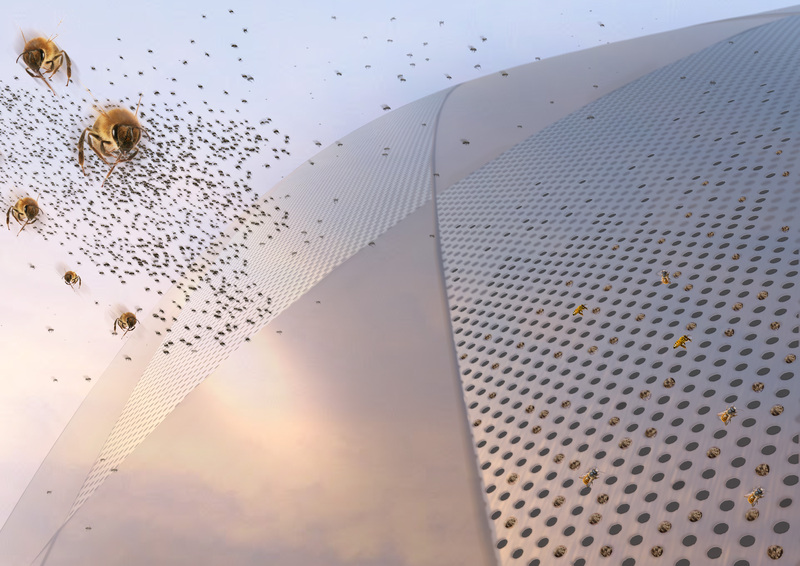 “We are overwhelmed with the interest the world has shown our BuzzBuilding, and it is gratifying that we now have the opportunity to show how the BuzzBuilding can resolve London’s need of protein at the Roca London Gallery,” says Rahel Belatchew, Principal Architect, CEO and founder of Belatchew Arkitekter. 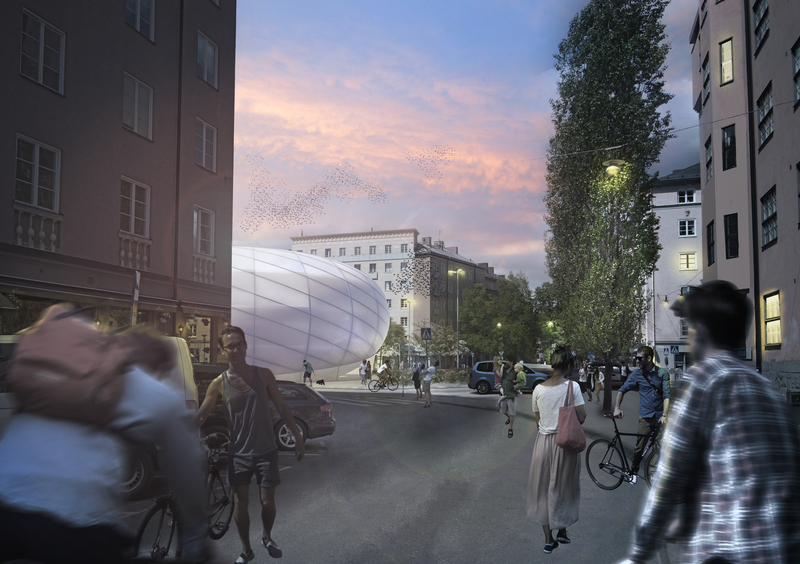 “We also look forward to discuss our proposal for how to make cities self-sufficient in protein within the framework of ‘agritecture’ – buildings growing food – together with a distinguished panel including Carolyn Steel, whose book ‘Hungry City’ points out the close connection between the city and the food needed for its citizens,” Rahel Belatchew concludes. In the year 2050 it is estimated that the Earth will be populated by 9 billion people and a question that arises is how a sustainable food-production that produces enough for everyone, without posing additional stress on the environment, can be designed. A solution is to find an alternative to meat production, and one such protein source is insects. There are approximately 1900 edible species of insects, and 2 billion of the world’s population already eat insects today. Protein production from insects is much more efficient than meat production, for example, 10 kg fodder is needed to produce 1 kg of beef, but the same amount of fodder can produce 9 kg of insects. To illustrate what an urban insect production might look like, Belatchew Labs has developed the insect farm BuzzBuilding for the cultivation of crickets. 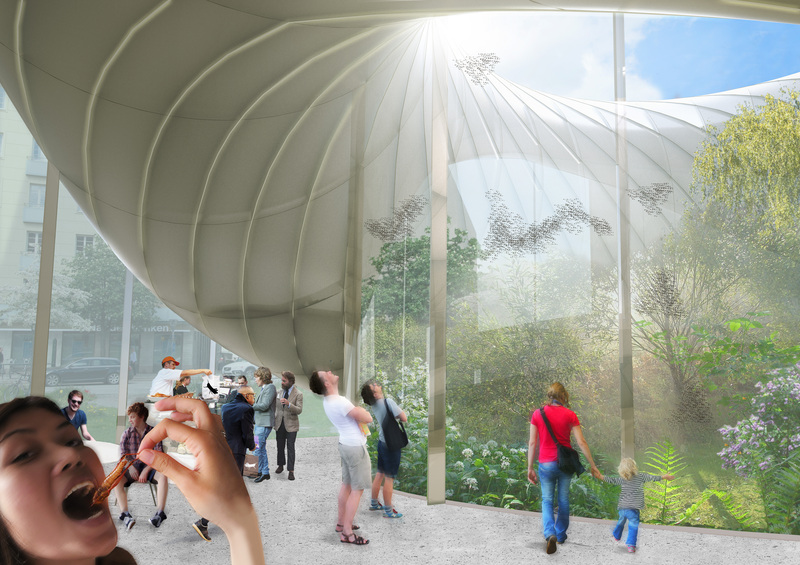 The BuzzBuilding is a building that integrates the whole insect production flow, from the egg to the ready-to-eat insect. Additionally, the BuzzBuilding is a safe haven for endangered wild bees, which, apart from ensuring endangered species of bees’ continued existence, also turns the city into a blooming and fertile city. BuzzBuilding has received several awards including the Architectural Review MIPIM Future Project Award, the Smart Living Challenge Award and the Swedish national Design S Award. 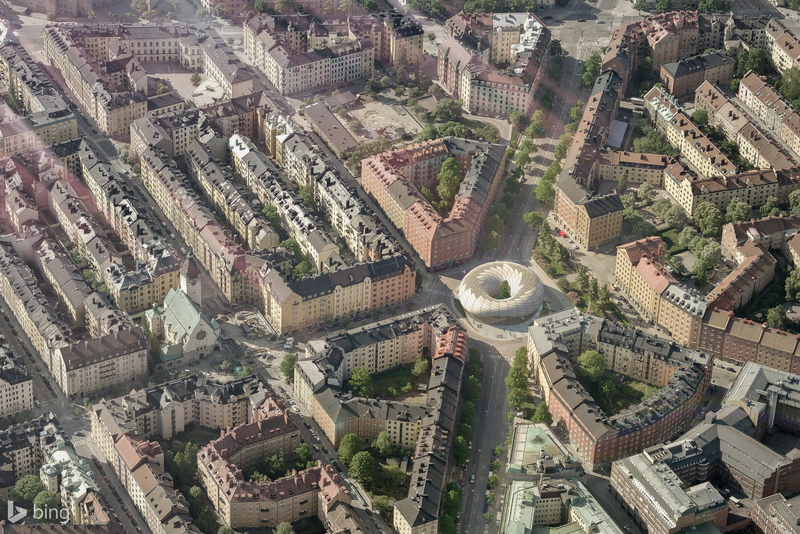 Belatchew Arkitekter is a Stockholm based architectural firm working within a wide range of projects, from urban planning and housing to offices and public buildings. The work of the office is idea driven with an aim to find unexpected solutions that enhance the potential of a site and add value to real estate. Belatchew Arkitekter follows the global development on sustainability and consider it our mission to integrate sustainable solutions in all our projects. Belatchew Arkitekter was founded by current CEO and Principal Architect Rahel Belatchew, who received her master’s degree in architecture from the Ecole Spéciale d’Architecture in Paris 1996 and has worked as an architect in Paris, Luxemburg, Tokyo and Stockholm. 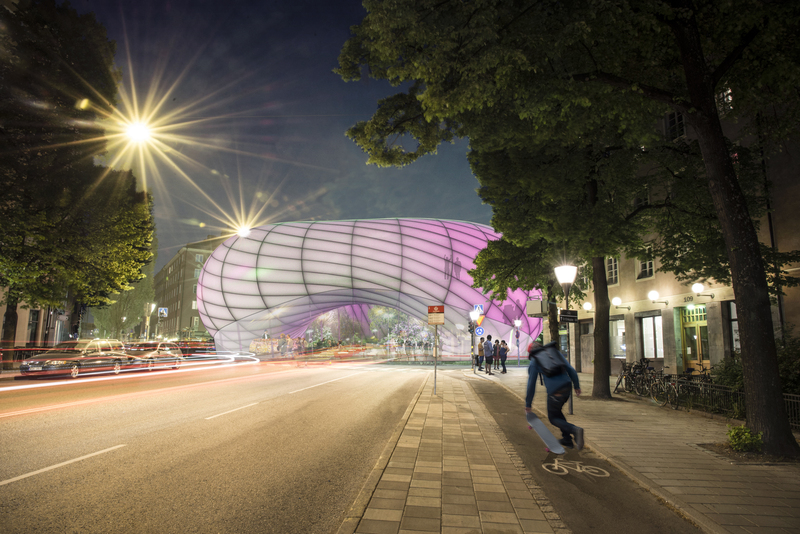 Rahel Belatchew has been appointed Architect of the Year and Belatchew Arkitekter has received several awards, including the Architectural Review MIPIM Future Project Award 2015, Smart Living Challenge 2014, Sweden’s national design award Design S 2014, the Architecture Masterprize 2018 and the World Architecture News Award 2018. We are looking for you with at least five years experience of project management in all parts of the process. As a managing architect you’ll handle projects and all contact with external customers and other consultants.